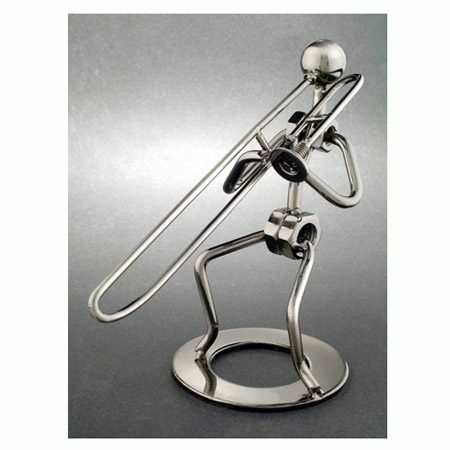 Trombonist Metal Figurine – Need music gifts for band members? This beautiful metal trombonist figurine is the perfect addition to any horn playerÆs collection. Made from light gauge cold rolled steel, this figure is perfect for the office desk or living room mantle. Approx. 6″ x 3″.